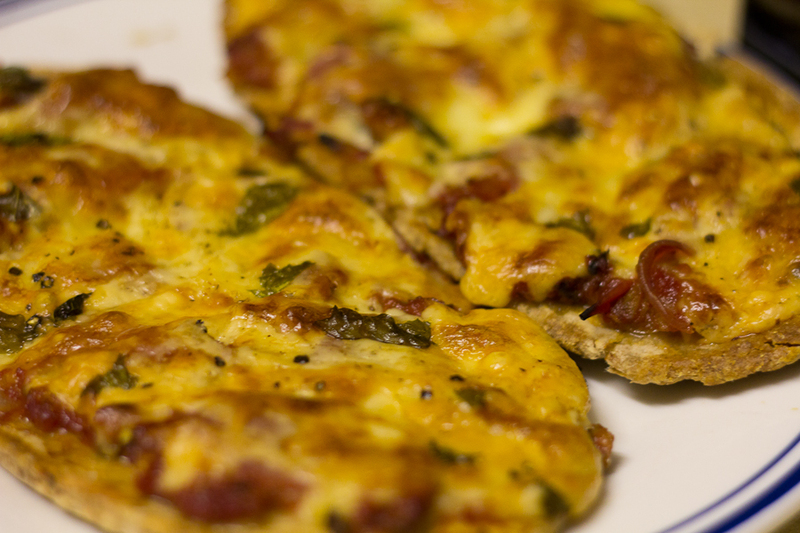 Salami pitta pizzas | What's for dinner? Quick and simple, these are rather moreish and take no time at all to put together. I used a BBC Good Food recipe from this month’s magazine, but substituted home-made tomato sauce for their suggestion of tomato purée. This could have been improved with thinly sliced red pepper on top and a green salad side.